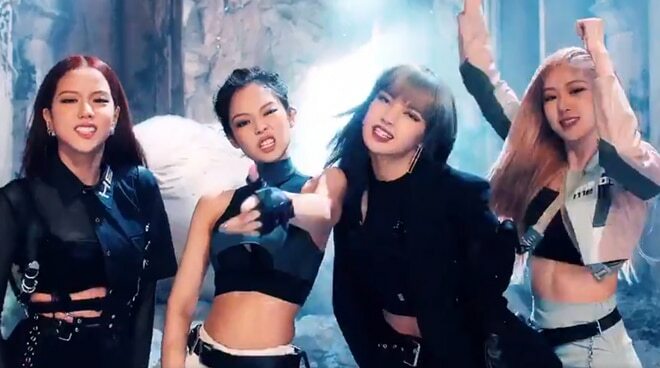 Ahead of its official release on April 5, Korean all-girl group BLACKPINK has come up with a teaser trailer for the highly anticipated music video of their comeback single ‘Kill This Love’. The band’s management agency YG Entertainment posted on Tuesday, April 2, a 23-second clip featuring bits from the MV on Twitter. It was in March when BLACKPINK confirmed that they will be releasing new music after nearly eight months since their last hit ‘DDU-DU-DDU-DU’ was launched. It was later confirmed that ‘Kill This Love’ is the title track of their newest EP, which will comprise of five tracks, including ‘Don’t Know What To Do (Subtitle)’, ‘Kick It’, ‘Hope Not’ and a remixed version of ‘DDU-DU DDU-DU’. Composed of Jennie, Lisa, Rosé, and Jisoo, BLACKPINK held their first-ever concert in the Philippines last February as part of their 2019 World Tour [In Your Area].